Following up a position monopolized by one guy, I return to a more normal position at shortstop. 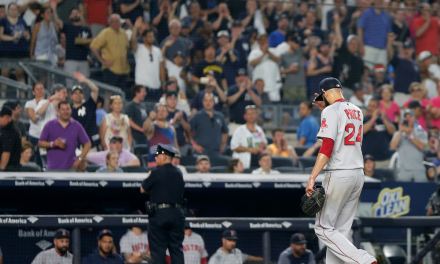 Even though the Red Sox have had quite a few good shortstops in their history, there are also a lot of bad ones to choose from. After reading the worst three of the bunch, make sure to check the mentions at the bottom, as there are plenty of worthy candidates. After mistakenly letting Orlando Cabrera leave after winning the World Series in 2004, the Red Sox were unsettled at the shortstop position for several years. They thought they could solidify it by signing Julio Lugo for the 2007 season. In parts of four seasons with Tampa Bay, Lugo had batted .287 with 40 home runs and 88 stolen bases. His fielding left something to be desired, but he had speed and was more than capable at the plate. 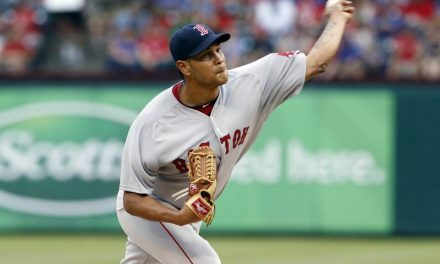 The Red Sox gave him a four year deal worth 36 million. Needless to say, Lugo didn’t work out. The Red Sox won the World Series his first season despite him. 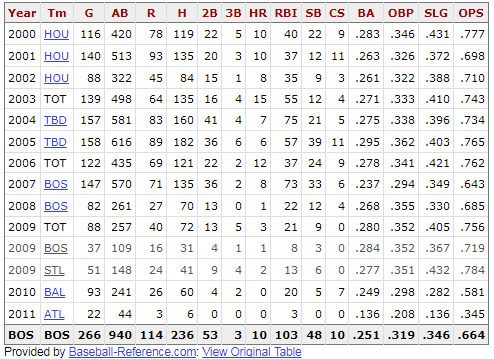 Lugo batted .237 that year with a .294/.349/.643 slash line. Lugo also made 19 errors in the field. Sadly, his defense got worse. In 2008 Lugo had a .945 fielding percentage, and in 27 starts before being traded in 2009 he managed to make seven errors, leading to a .928 fielding percentage. Jackie Gutierrez has the lowest WAR of anyone I came across, totaling an astounding -3.5 in only two seasons. 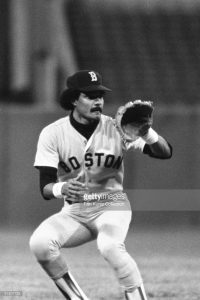 After making a brief appearance in 1983, Gutierrez was the Sox main shortstop in 1984. Although he batted a respectable .263 that season, Gutierrez walked a total of 15 times in 151 games! This led to a measly .284 on-base percentage. Gutierrez also only had 17 extra base hits, helping him to a .316 slugging percentage. So despite a passable batting average, Gutierrez was pretty worthless at the plate. He also made 31 errors in the field that season, giving him a total WAR of -2.1. Somehow, Gutierrez retained his job in 1985. He only wound up starting for a partial season though, accumulating 275 at-bats. His averaged plummeted to .218 and he hit a mere nine extra base hits. His OPS fell all the way to .523. On top of that, he managed to make 23 errors in only 99 games, 83 starts. The Red Sox somehow got the Orioles to trade for him that offseason and they moved him to second base. Warstler is a guy going back to the dark ages of the early 1930’s. He couldn’t hit his way out a wet paper bag. 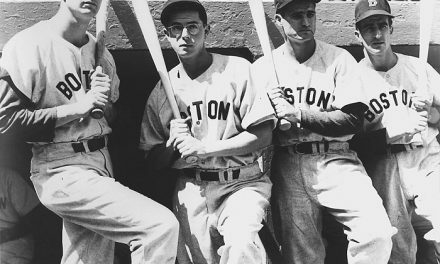 In four seasons with the Red Sox he batted .215 with 2 home runs and 74 runs batted in. Warstler had a feeble .285 on-base percentage and .276 slugging percentage. In those four seasons he only had 49 extra base hits. It’s not as though Warstler added a lot defensively, he made 41 errors in 1932. He actually got moved to second base for a few years after leaving the Red Sox. 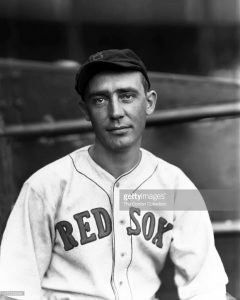 His WAR was in the negatives in all four seasons with the Red Sox, bottoming out at -1.3 in 1932. 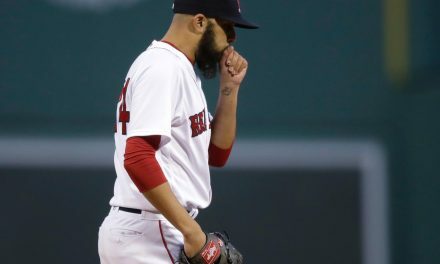 Should David Price’s Big Stage Woes Cause Panic?